Becoming a parent is amazing but at the same time, it can push your stress levels to astronomic new heights. While it’s impossible to completely eliminate stress from our busy lives, we are always interested in exploring ways to help you manage your stress levels and prevent it from reaching dangerous levels. We know how important it is to try and find a little time and space to relax and, well, just breathe. Complementary therapies, such as reiki and reflexology, continue to grow in popularity, and more and more people are finding ways to integrate meditation into their daily routine. Caroline Partridge of Pure Therapies has been practicing reiki and reflexology for over ten years and has recently qualified to teach meditation. We had the pleasure of speaking to Caroline about her work and how complementary therapies and meditation could benefit you. Could you tell us a little bit about the therapies you practice? 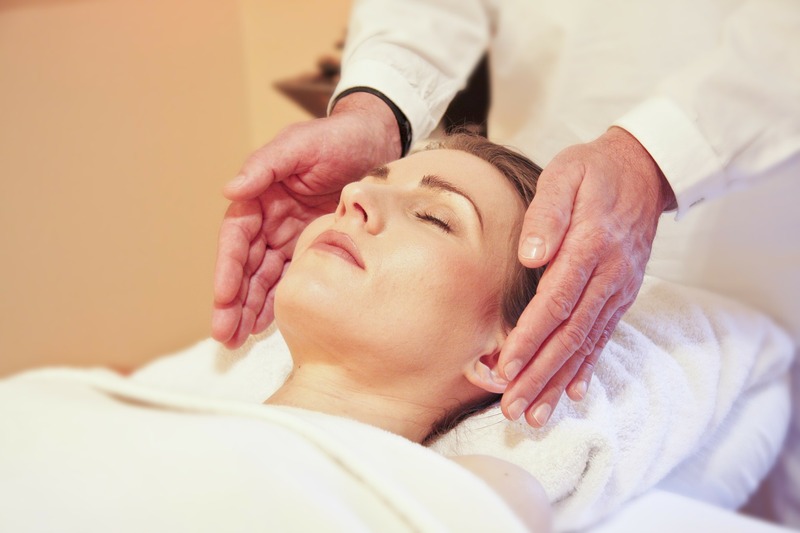 Reiki is a form of energy healing, working with your energy to bring your body into a natural state of balance. It can be a hands-off or hands-on therapy, depending upon the client and the situation. Reflexology works on the meridian zones through the body to relax, calm and clear the body of toxins. I practice foot and facial reflexology. Meditation gives you the space to relax your mind, just be in the moment, and enjoy the here and now. What is your most popular therapy with clients? Most people are more familiar with reflexology and meditation, so I tend to find that I have more enquiries for those areas. Reiki is a very popular taster treatment at events and pamper evenings, as people like to try it out to see what it is all about. Which is your favourite therapy to practice? For me, personally, reiki and meditation have transformed my life and my mindset. Reiki fascinated me from day one. The idea that we are energetic beings and that hands on healing could help me with my emotional issues was mind blowing. I felt like a new person and I wanted to be able to help others suffering with similar issues. I had to be willing to help myself, look at my lifestyle and take some time out for me but I was prepared to do anything to feel better again. Meditation offers comfort and space mentally, quietens the chatter and the breathing instantly relaxes me. Even if I am feeling really low, half an hour of meditation can shift that feeling and help me to move on. I have had amazing results with foot reflexology for fertility and pregnancy clients. Facial reflexology has been proven to be very good for relaxing tension in the face and head. I love being able to share the healing power of therapies and meditation with others. I enjoy showing them how they can improve their lives and supporting them through this process. I am passionate about helping others to de-stress and find happiness again. I have had the privilege of working with all sorts of people of all ages, including nurses and mums-to-be. They have all been a source of inspiration to me. I am always learning more about healing, meditation and life, and I am so humbled to be able to share my experiences with others. Plus I love meeting new people so it is the perfect mix for me! What would you say to encourage others to try complementary therapies and meditation? Research what resonates with you. Some people love having their feet touched and others don’t, therefore reflexology won’t be for you if you have an aversion to feet! Look at therapists in your area, get a feel for who they are and how they work. See if anybody can recommend a therapist to you. Ask questions and see what feels right. If you are interested, give it a go and have an open mind. The key for me is being open-minded and willing to look at how you can heal yourself. How could complementary therapies and meditation specifically benefit stressed-out parents? Complementary therapies and meditation have both been proven to promote relaxation and calm a stressed-out mind. They provide the space for you to let go and just be, something many parents probably don’t get much chance to do. It is important as a parent to look after both your physical and mental well-being, so that you can care for your children. It’s important to set an example to them so that they realise how vital self care is. I offer a mobile service in and around Hitchin which is handy for parents who feel that they don’t have time to visit a therapist, but realise that they need space for themselves to recharge their batteries and rest. If you would like any tips and advice on complementary therapies, you can check out the Pure Therapies Facebook page.